IoTium offers a Network Infrastructure as-a-Service (NaaS) for Industrial IoT. Our unique offering solves 3 critical issues for IIoT; mass deployment at scale, security and future proofing your IIoT deployment. Unlike the DIY approach to IoT infrastructure, ioTium’s network infrastructure is scalable because it is zero-touch provisioned with no on-field technician, no truck rolls, no username/password, no changes to enterprise security firewall/proxy settings and no CLI, and is completely cloud managed. 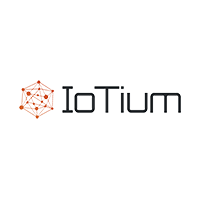 Iotium enables anyone to connect any device, using any gateway, using any physical network, from any operator to any cloud and any application and be guaranteed the security of their data.